Enjoy Exclusive Member Benefits Including…. * Savings of up to 70%. There is a good reason for this. 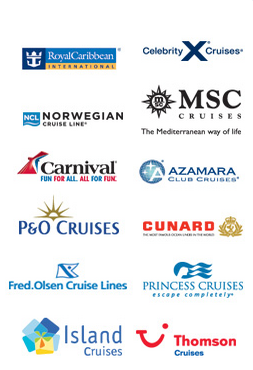 Cruise ships are organised by their companies to be docked in warm waters in the cooler months of the year. There will be times in between traditional cruises when the ships need to be moved from A to B, often involving a trip across the Atlantic. It doesn’t make sense to move the ship with no one but a skeleton crew on board. So the cruise line offers up repositional cruises such as transatlantic cruises so it can move its ships and still make money from the journey. Because of the nature of a transatlantic cruise, it is normally the case that you will be required either to fly to, say, the US to meet the ship to come back, or to fly back once you reach your destination. So make sure you are happy to do this before booking this type of cruise. You should also factor in the cost of the flight when gauging the cost of your cruise. If you embark on a cruise that leaves the UK and heads to America across the Atlantic, you have a golden opportunity to arrange a cruise and stay holiday. Since these types of repositional cruises will end up in America, you can take the opportunity to book another week’s stay in the USA to explore one particular area in more detail before flying home. For example, some people book a fly-drive holiday – you could book a cruise-drive holiday instead! This is just one example of how to make the most of a transatlantic cruise holiday. There is no doubt that transatlantic cruises hark back to times when this kind of cruising was the way to travel. Many people went on these cruise ships to start new lives in America. It was the way to get to America before air travel became popularised and more widely affordable in the 20th century. Now you can explore this opportunity to retrace the steps – so to speak – of all the people who went on this journey before you. Some cruises offer the ability to visit lots of different destinations, sailing between each and spending an equal amount of time on board as you do so. But transatlantic cruises are different in that you will be on board for virtually the entire time. Depending on the cruise, you may visit one or two ports either side of the Atlantic, but the crossing itself will take a minimum of six days. It can take as long as two weeks though, since it all depends on the route taken to get from your starting point to your destination. This gives you plenty of time to explore the facilities and entertainment on board your chosen cruise ship. It also illustrates how important it is to choose the right ship for the journey. The more luxurious and well appointed it is, the more enjoyable the trip is likely to be. You can sample many different restaurants, bars and clubs on board, as well as exploring all the opportunities to go swimming, have some relaxing treatments and also just sit back and watch as the world surrounding you is filled with water and no sign of land anywhere. In a sense a transatlantic cruise is the perfect way to get away from it all, providing you with a great opportunity to make this classic crossing and to discover just how relaxing and luxurious the best cruise ships really are.